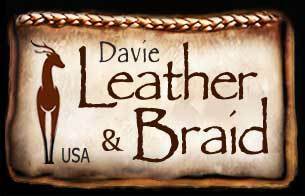 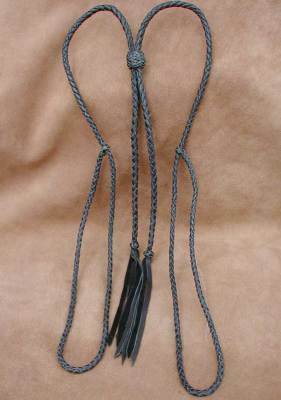 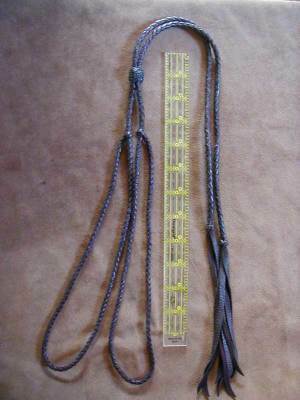 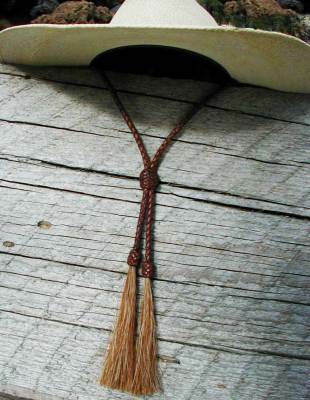 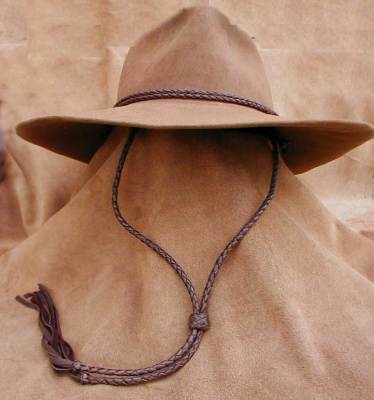 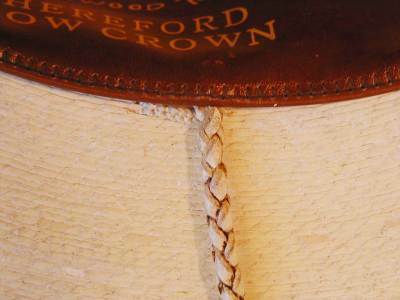 We have 2 types of braided deer leather stampede strings that easily attach to any hat. 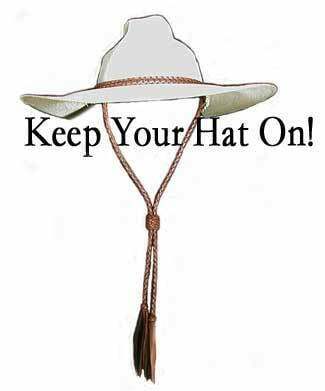 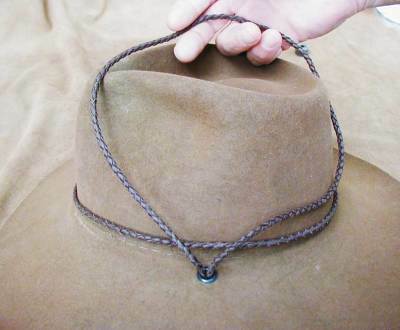 A loop style that goes around the hat twice to form a hatband/stampede string. 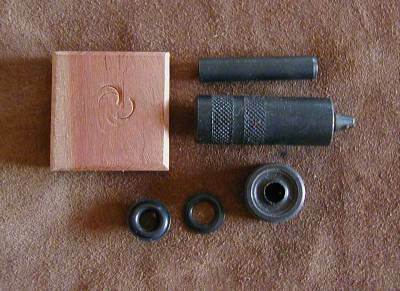 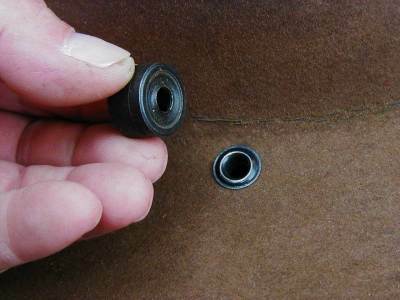 And a set that attaches easily with a split pin inside the sweatband of your hat. 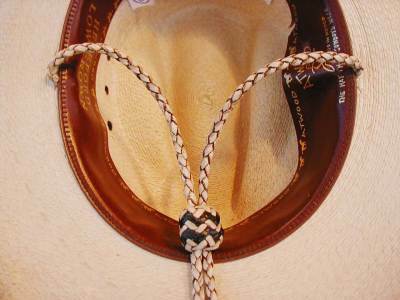 Both styles have a slide knot that will cinch up under your chin to keep your hat on. 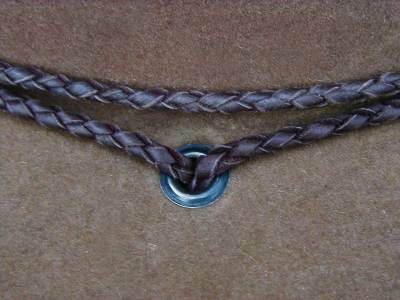 Easy attachment with a cotter pin that fits under the sweatband and opens to stay in place. 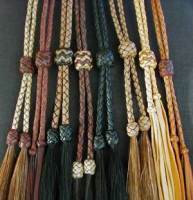 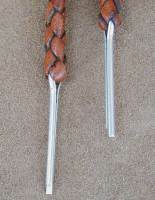 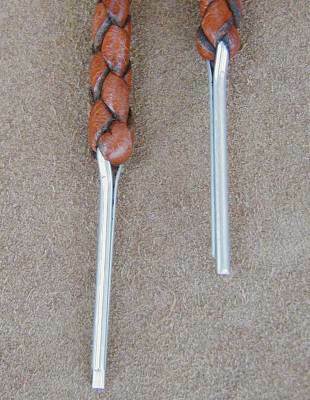 The braids are about 17.5" long with a slide knot to keep your hat on. 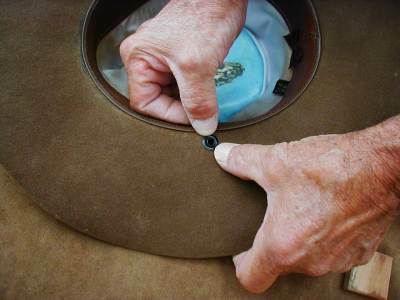 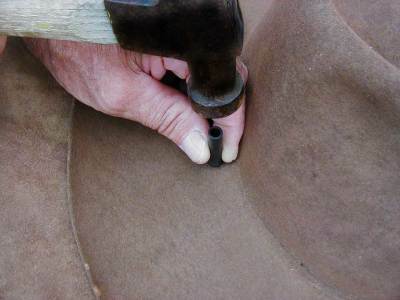 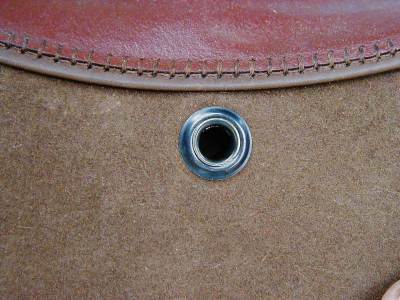 Turn hat upside down and insert the pin in-between the stitching of the sweatband and the hat. 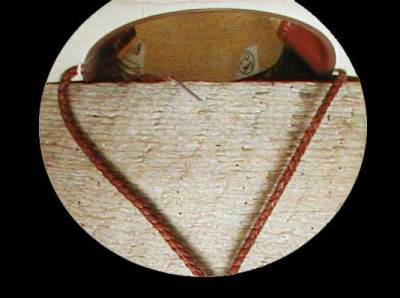 With out breaking the stitching spread the pin open so it is hidden underneath the sweatband. 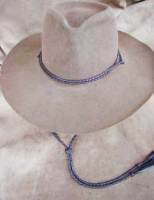 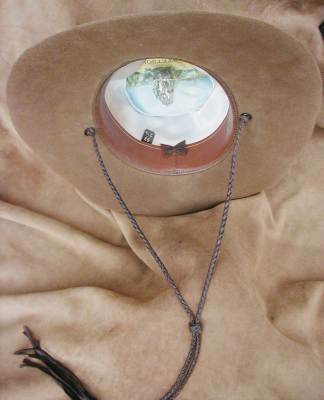 Braided Deer leather loops go thru eyelets in your hat on each side of the crown and loops over the top of the hat forming a hatband/ stampede string combination in one. 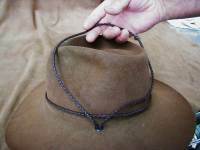 We hand cut the thongs for the hatband to have a braid about 1/8" diameter x 23" long. 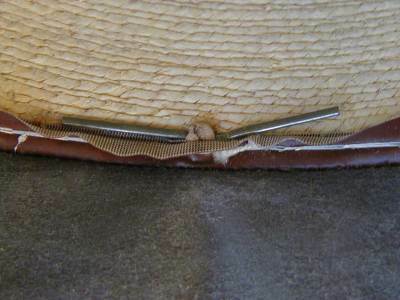 The stampede strings are cut wider to have a brad about 1/4" diameter.